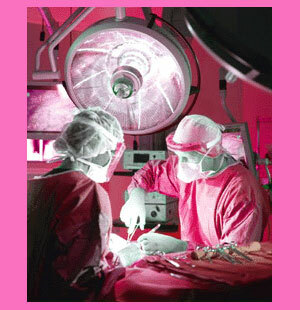 Currently, there are several uses for laser breast surgery within the beauty industry. Lasers have been used for a wide range of applications in the medical field for many years and it is natural that they have also become integrated into cosmetic breast surgery procedures. Laser modalities are generally fast and non-invasive techniques which can be used alone or as an addition to a more involved operation. 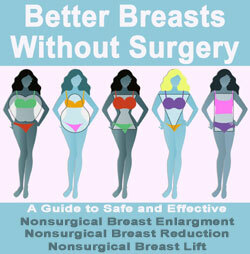 This report details the most common applications of lasers in the breast surgery arena. Laser breast lift is a minor surgical technique performed under local anesthetic. The idea behind the surgery is to provide a mild to moderate lift effect for women with strictly defined breast size and ptosis criteria. The smaller and less ptotic the breasts are, the better the technique will work. This procedure accomplishes breast lift by targeting and destroying certain types of cells, generating a healing and cellular reproduction response in the breast tissue. These new cells will rejuvenate the breast and renew its appearance in many instances. Most patients should expect very conservative breast changes from this laser technique. There are care providers and beauty spas offering laser treatments to increase breast size, using similar or identical techniques as those utilized during the laser breast lift. These techniques demonstrate little or no evidence of increasing breast size and this treatment can be a huge waste of time and money for many women who are hoping to find a non-surgical method of breast enlargement. Although this process might be improved in the future, current research advises to stay clear of this unproven procedure and save your money for a better non-surgical or surgical breast augmentation option. The best use of the laser in breast surgery is in the role of a finishing touch for breast renewal. The laser can remove marks, tattoos, veins, some scars and stretch marks from the breast, which is very helpful to achieving a more youthful and pleasing appearance. This technique is fast and basically painless, yet it can make a big difference if you have skin-related issues that are spoiling the overall look for your breasts. As with any surgical procedure, it is better to undergo laser scar removal under the care of a physician, rather than using some other treatment provider with less experience and credentials. While lasers do have defined uses in breast surgery, they are sometimes offered as scam treatments for a variety of conditions. Be aware as a consumer and keep your guard up when investigating any treatment which just does not seem plausible. Many providers of these services talk a good game and have substantial “proven studies” which show the effectiveness of their proposed treatments. Take the time to check out these treatments from objective and reliable sources, before even considering undergoing them yourself. When in doubt, ask your doctor for advice on which laser procedure might help you to achieve the breasts you have always dreamed about.